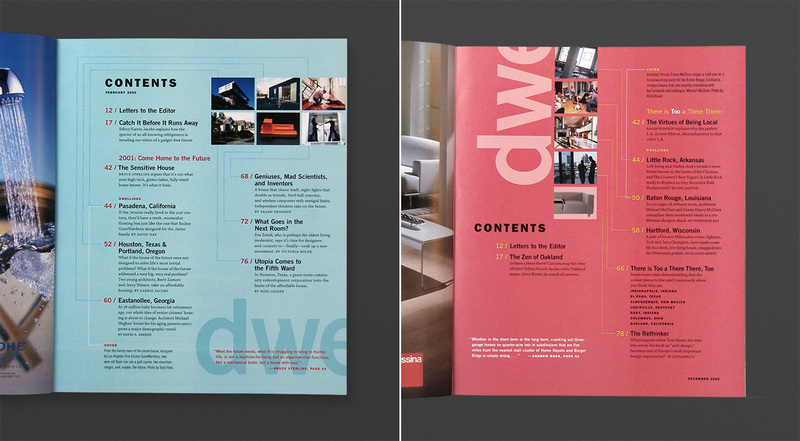 Each issue of Dwell used a unique color palette, and the table of contents introduced it through a full page of color””which also helped it stand out amidst the ads at the front of the magazine. The first two images show the original design, with its schematic, “instructional” lines connecting image and text. 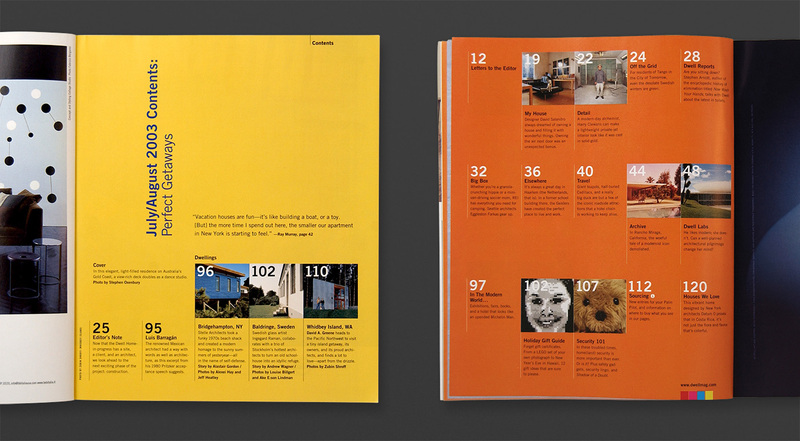 The last image shows the second design, with more emphasis on the grid and typography. 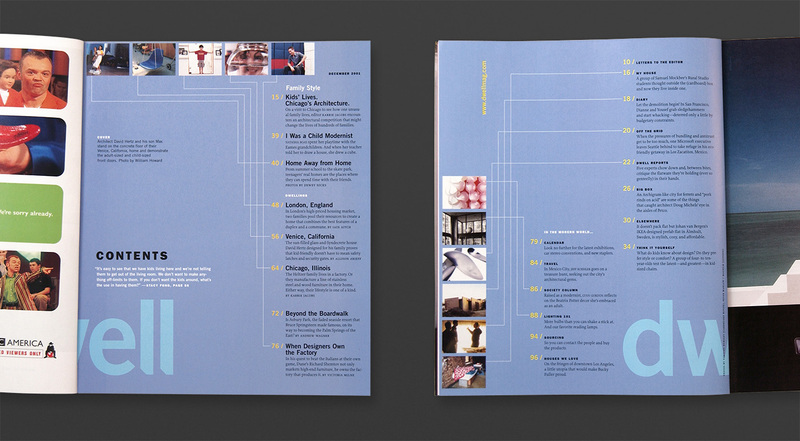 Front and back of the original Contents design.